Feel free to schedule a test drive, pass on some kudos or give us a little constructive criticism. Your comments are welcome and are always kept confidential. 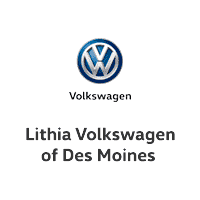 Whether you have a question about our inventory, auto services, or available financing, the expert staff here at Lithia Volkswagen of Des Moines are here to help you. Please send us an email with your questions using the form below and we’ll get back to you shortly. View our hours and map for directions and additional contact details. We hope to see you here soon!